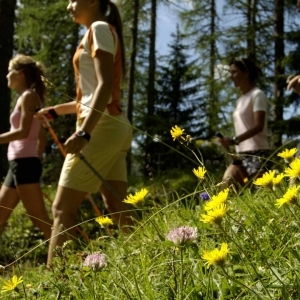 In summer, Alpencolor Tonale Hotel is the ideal starting point for walks, mountaineering trips, hiking and mountain biking, with a wide range of routes and trails of varying difficulty. Besides being a highly important ski resort, in summer Passo del Tonale also offers many opportunities and occasions for having fun and trying a new experience! These include spectacular trips to the Presena glacier, arriving as far as the amazing routes and trails of the Adamello Bike Arena, and a large number of hiking routes in the Adamello-Presanella Nature Park and the Stelvio National Park.